Cooking a whole, bone-in smoked turkey breast is a great option if you don't want to smoke a whole turkey. And if you prefer white meat, you've got it made, since the breast is 100% white. Choosing a Turkey Breast That'll Look and Taste Great! When choosing a turkey breast at the store, you will find breasts that are self basting and others that are minimally processed. If you want more control over the final taste of the bird, choose a minimally processed turkey breast. Bone-in turkey breasts weigh from three pounds up to seven or more. 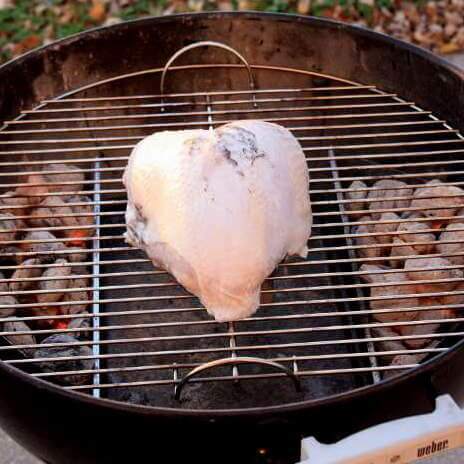 If you plan to smoke two or more turkey breasts at the same time (which I highly recommend), choose breasts that are very close to the same weight. Another option is to separate the breast section from a whole turkey. That way you'll have legs, thighs and wings to smoke at another time. Basted turkey breasts have been injected with a flavored brine. If you buy this type, all that needs to be done is to flavor it with you favorite seasoning before it's smoked. Be sure to use a seasoning that's light on the salt, since the pre-brined enhanced breast already contains plenty. A minimally processed turkey breast can be brined with your favorite flavorings. Use your favorite brine recipe, try one of these, or use the following recipe for Cranberry-Apple juice turkey brine. Combine all ingredients in a food grade plastic bucket or large, non-reactive bowl and mix until the sugar and salt are completely dissolved. A more efficient option is to use an insulated water cooler as a brining container. 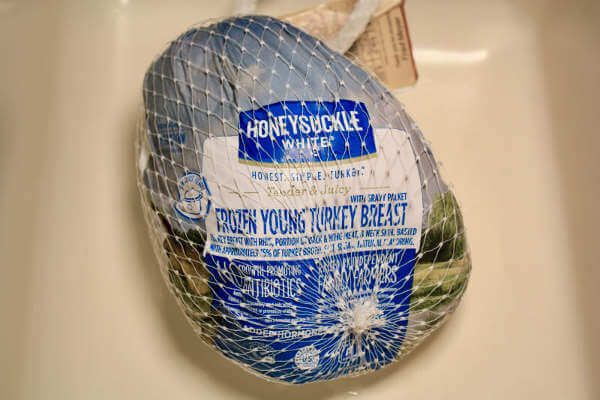 Remove the thawed turkey from the package and trim off any excess skin or flesh. 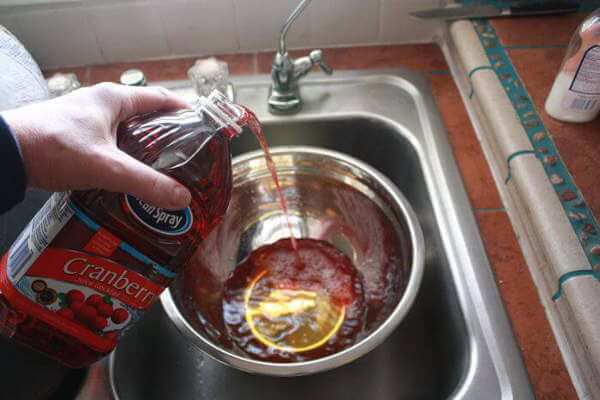 Place the turkey breast in the brine and position a heavy plate over it to keep it submerged. Place the bucket in the refrigerator for 8 to 12 hours. After brining, pat the turkey breasts dry with a towel and allow to air-dry at room temperature while the meat smoker or grill heats up. A small fan placed to blow over the breasts will help them dry quicker. Preheat your meat smoker or grill to between 275 and 300 degrees Fahrenheit. If grill smoking, cook the breasts using the indirect grilling method. 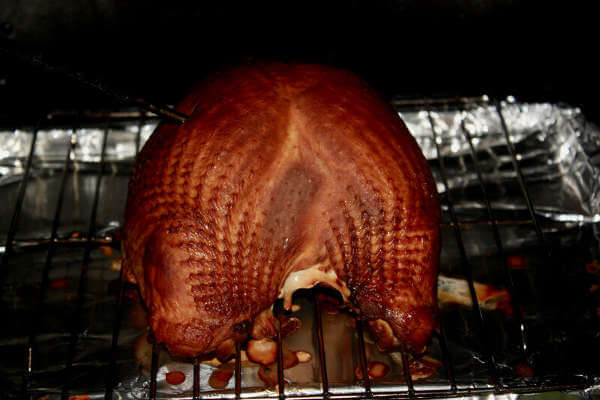 Apple wood smoke has a light flavor and produced a nice color on the finished turkey breasts. Use a couple of two inch chunks in on top of the charcoal, or a couple of small foil packets of chips in a gas or electric smoker. If using a water smoker, leave the water pan empty. The humidity prevents the turkey skin from browning as it should. 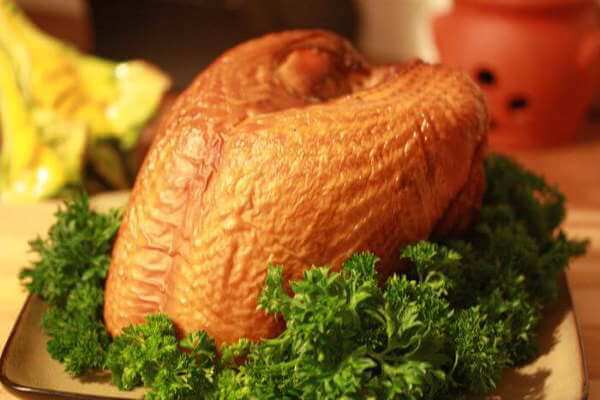 The smoked turkey breast is done when the internal temperature reaches 165 degrees. 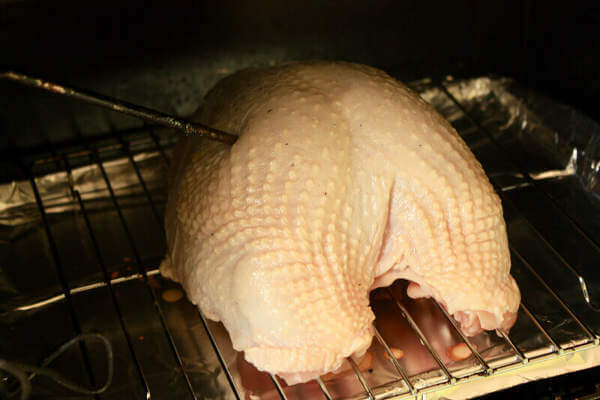 Remove and cover with foil, allowing it to rest for 15 minutes before slicing and serving.